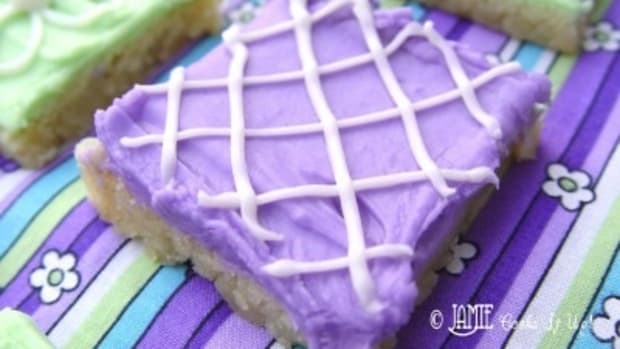 When you hear the words **“Sugar Cookie”**do you get a little overwhelmed? Do you feel a little whoozie thinking of an all day project in the kitchen? 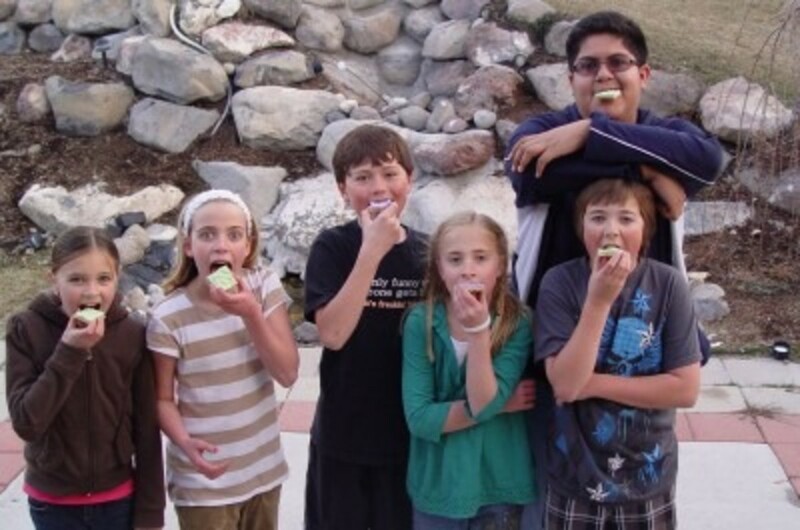 You know how a sugar cookie project goes. You can see it in your minds eye…. 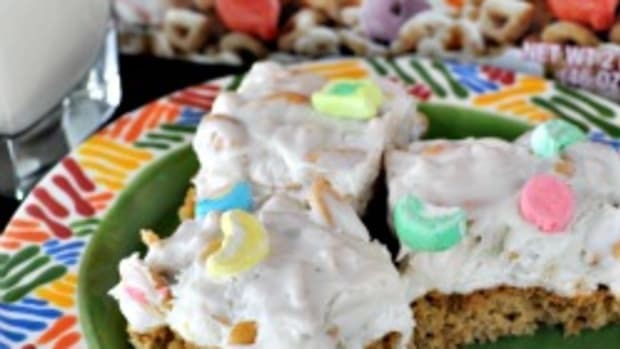 flour and dough flying everywhere with candy sprinkles and frosting stuck from here to tin buck too. 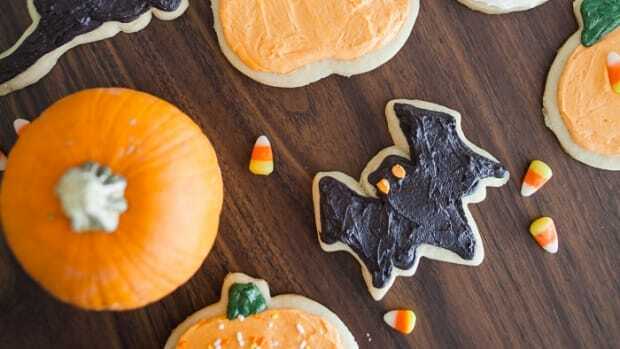 If you have the patience of a mighty she-ra and want to participate in that kind of activity (I have to admit, I do love a good sugar cookie project! 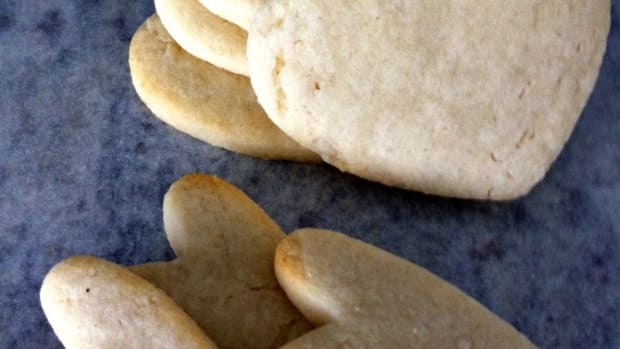 Twice a year does me up just fine) you can click here to find my fabulous sugar cookie recipe. If you are in the mood to save your patience for filling Easter eggs, and shopping for cute Easter dresses then I have the recipe for you ladies! 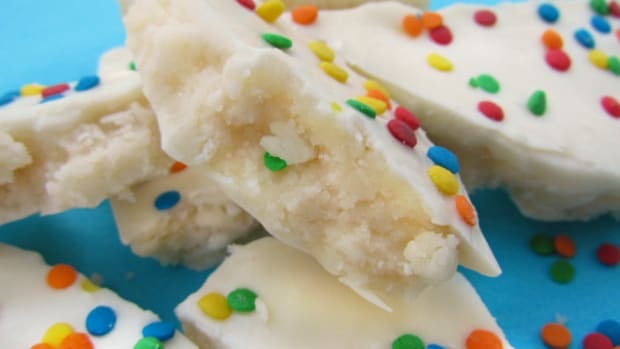 This Sugar Cookie Bars recipe will have you whistling Dixie in no time. Your kids will love them just as much as the cut out kind…and you will have your sanity intact and ready to take on the world. That is something to be grateful for. 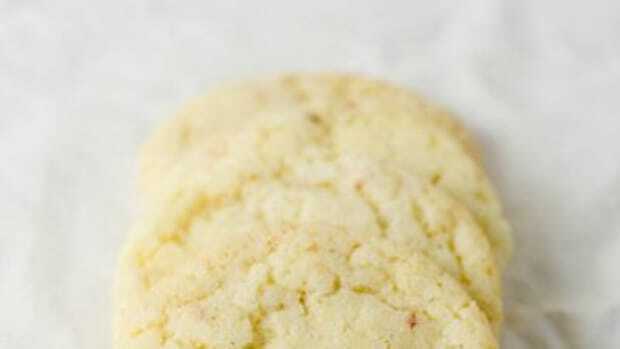 In a large mixing bowl or stand mixer beat the butter, cream cheese, sugar, and egg until nice and frothy. About 4 minutes. In a small bowl combine the flour, baking powder and baking soda. Mix them around so that all ingredients are well incorporated. Press the dough into a large jelly roll (cookie sheet) pan. Time to make the frosting! In a medium sized bowl (or your stand mixer) combine the butter and cream cheese. Beat for about 2 minutes. Add the powdered sugar, milk, vanilla and food coloring. Mix for 1-2 minutes or until smooth. Frost your pan of cookies. 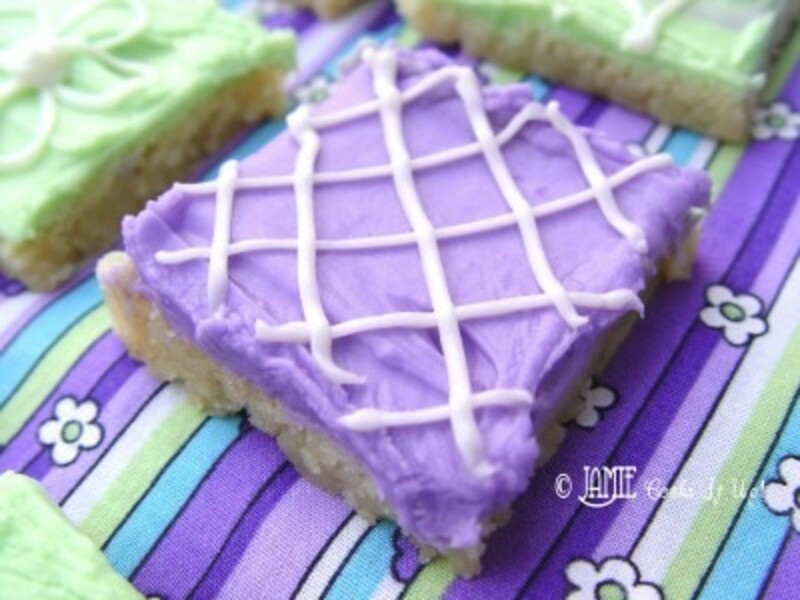 Cut the cookies into bars and serve! 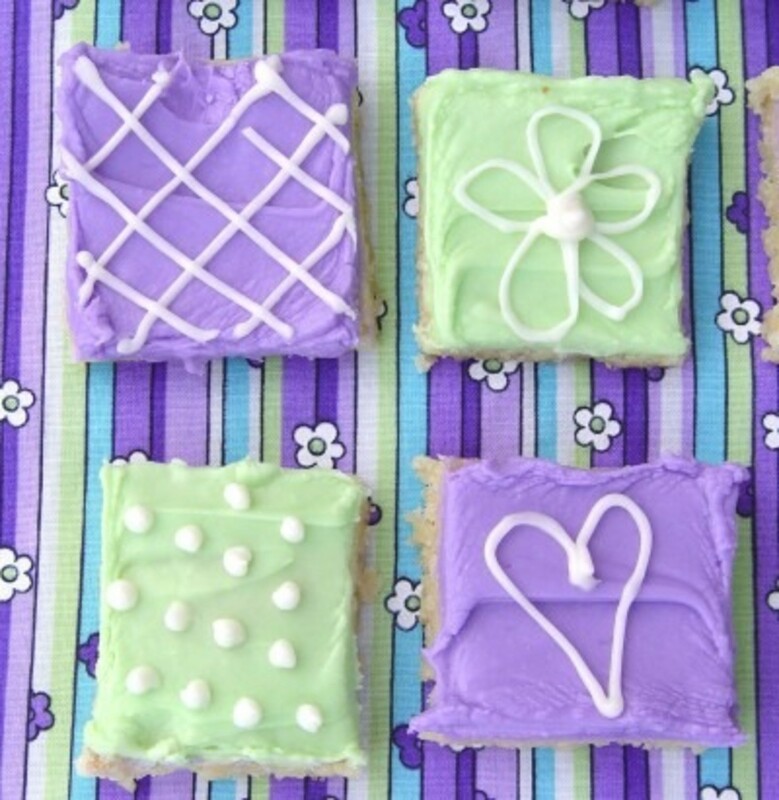 As a fun decorative option, you could pipe a bit of white frosting onto the cookie bars. 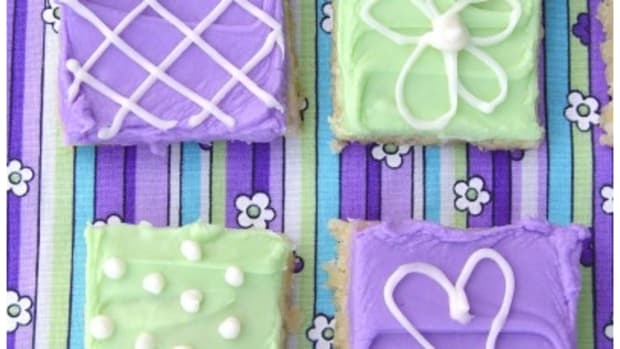 Just take about 1/4 of the frosting out of the mixer before you add the food coloring. Put the white frosting into to sandwich sized zip loc bag. Carefully snip the tip and pipe some fun decorations onto the bars. Happy children from our neighborhood! 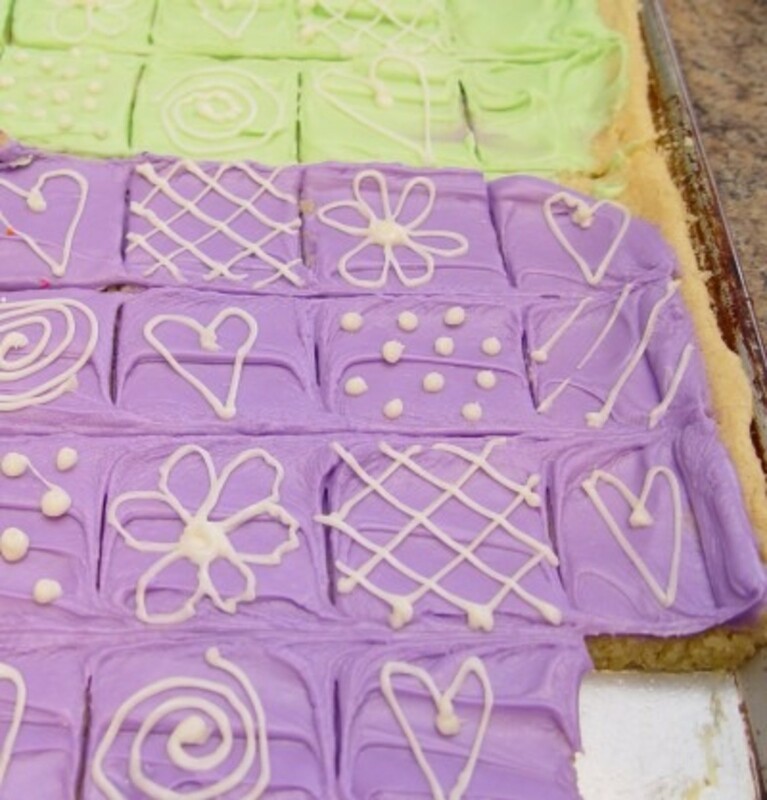 They gave these Sugar Cookie Bars the double thumbs up, I bet yours will too.